As you are probably aware, Lakin USD #215 is getting started in our Gemini II school redesign mission. 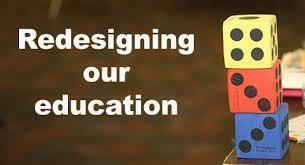 We are trying to make school more beneficial for all students and prepare them for the ever changing future. All three buildings are undergoing redesign. Each building has a team consisting of the building principal and two teachers; one is the pilot, one is the co-pilot. Representing the grade school is Mrs. Panzer, Mrs. Hash, and Mrs. Long. The middle school team is Mr. Calkins, Mrs. Michaelis, and Mrs. Oldham. The high school team is Mr. Michaelis, Mrs. Bachman, and Mrs. Hill. · Devoted to student success. · Determined to “Do” school better. Since school began last month, this team has already had two training days with the Kansas Department of Education (KSDE) redesign team. USD #215 is currently charged with gathering input from the community to help make decisions as we move forward through this process. As parents or guardians, we are asking you to please take a couple minutes to complete a survey to help guide how Lakin USD #215 school looks through the redesign and into the future as we move to do what is best for our individual students! Please clink on the link below to take the survey and provide valuable feedback. Thank you for all you do to help us educate the children of USD #215! If you have any questions at any time, please reach out to any of the redesign team members listed above.